This entry was posted on September 2, 2014 by Jessica Anderson. Once again, participation trophies have come under fire in the media. This time it’s Glenn Beck. He makes the argument "...Those who disagree with the practice often point to participation trophies as the 'wussification' of America." Here’s the link to his article. For disclosure sake, I DO own a trophy company. And our company DOES make money from selling participation trophies. So from that perspective, I’m definitely a fan. Who knew this little guy could cause so much controversy? But my first and most important job is as a MOM of two girls – one kid in elementary school, and one just entering high school. I am at the sweet spot of this argument - an intelligent, engaged parent who makes the decision about giving (or not giving) my kids participation trophies. If you can take the “owner of a trophy shop” piece out of it, here is how I feel about the issue. Just like Glenn Beck, I don’t want my children to grow up to be entitled lazy brats. As adults, I would like them to be happy, well-adjusted members of society, living on their own and supporting themselves. I don’t want them to feel like they are “owed” anything. I want them to possess a strong work ethic, earning what they want without feeling entitled to anything. AND at the same time, I think participation trophies are a good thing for my kids. And here's why: I don’t see a participation trophy as something they are entitled to OR something that they have to earn. I see it as a memento of a season, like a scrapbook or a trading coin. A prize they receive for getting off their butts, being healthy, and putting themselves out there. I see participation trophies similar to souvenirs from a trip. It’s a small thing you keep to remind you of the fun you had and the memories you made. A memento. And if it's given with thought and care, it can become a treasured reminder of childhood. A small participation trophy, metal or dog tag doesn’t make my kids feel entitled or lazy any more than a party favor from a birthday they attend or a prize from a school event. That being said, I would agree that large, championship trophies have no place as participation trophies. Tall, multi-post trophies or crystal sports awards are meant for winners that earn them. If you work hard as a team to be the best, you deserve the hardware to prove it. I also feel that participation trophies are better for younger children vs. older kids and teens. 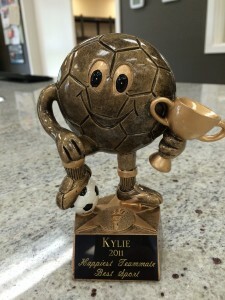 Young kids who are just starting out their sports or activity careers may be motivated to play with the lure of a trophy at the end of the season. Little kids think they are really cool, more like a toy. In my experience, the trophies will be played with (and sometimes broken) and that’s ok.
Once a kid get into middle school, I don’t feel there's as much of a need for those items any more. By this time, kids will have tried a number of different sports and activities and have figured out what they enjoy and have a natural talent for. At this older age, a better way to acknowledge participation is with clothing, such as a jersey or sweatshirt, a useful piece of equipment, such as a water bottle or duffle bag, or a picture of the team. At this point in the kids’ career, a pep item for team pride makes more sense than a participation trophy. I think what makes me the most mad about this debate is when people who don’t like participation trophies say that people who do are codling and harming their kids and our country as a whole. We all want what’s best for our kids and our country, and I believe there can be more than one “right” answer. There would be no team at all if none of the children had “participated”. If the lure of a participation trophy is the carrot to get kids, especially little kids, involved, then I think they are a good thing. It's all about the meaning you put into the awards - how they are presented, what the coach says about the kids and the season. 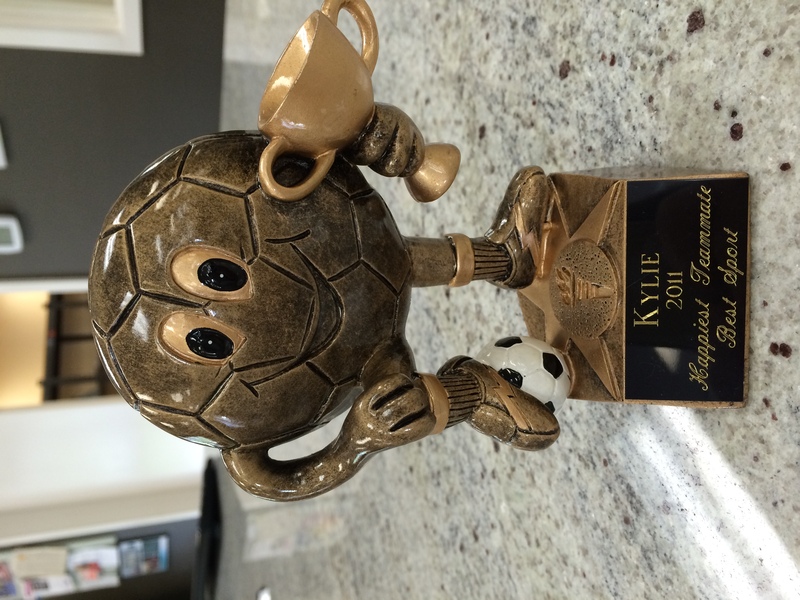 For tips on how to make sports trophies meaningful, read my past post on the subject here. If you feel different, I would love to hear your thoughts. And for the record, Glenn Beck, as a mother of two AND the owner of a trophy company, I respectfully disagree with your stand. But I appreciate you putting it out there for us to continue to debate.